Wilson Tool’s HP Dura-Blade® is designed specifically for parting applications to help maximize your productivity. HP Dura-Blade® features a push button adjustment system and quick release stripper plate for fast and easy tool changes. HP Dura-Blade® has all the performance-driven features of the HP-style tooling plus a replaceable cutting blade insert made with Ultima® premium tool steel to significantly increase grind life. The Dura-Die parting tool completes Wilson Tool’s ultimate parting solution. When combined with our Dura-Blade product, you are able to greatly increase the life of your parting tools. 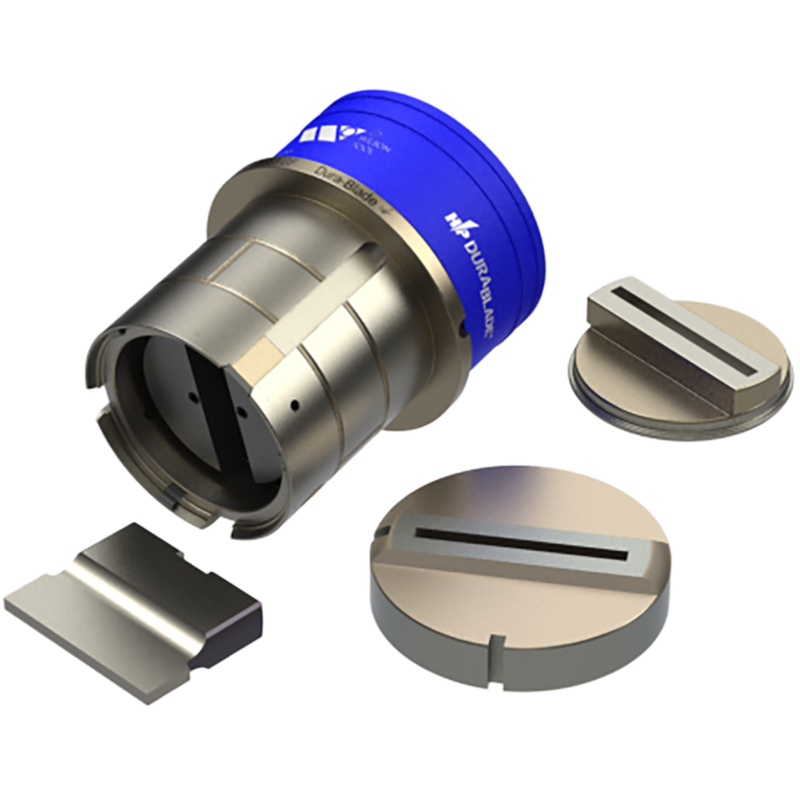 When a new die is necessary, just replace the removable insert and you are quickly back up and running. Wilson Tool International offers the industry’s widest variety of standard punch press tooling for virtually any thick turret application. With our groundbreaking EXP® technology, affordable Basix line, performance-driven HP Dura Blade®, and capacity increasing Multi-Tools, we have a solution for virtually any application. We understand that every shop is unique, and our range of solutions reflects that. The thick turret standard line provides small and large station assemblies in traditional shapes and unlimited custom shapes. Choose from Metric or Wilson style; Basix, HP2 or HPX assembly features; Heavy Duty options and more. Browse multi-tools to expand your turret capacity or a parting solution to optimize parting applications. Select the iSeries line of thick turret tooling to integrate seamlessly with AITS® tool identification systems. Explore all standard thick turret tooling options below. To see special application or forming tools solutions, explore our Thick Turret Specials section. Products are available for standard parting in D and E stations. Available with one and two-sided relieved strippers for close-to-clamp applications. Old Style replaceable inserts available upon request.